A microservices architecture offers the flexibility and agility that a monolithic architecture cannot deliver. But having a specialized database for each microservice can lead way to a chaotic architecture that’s expensive and difficult to sustain. 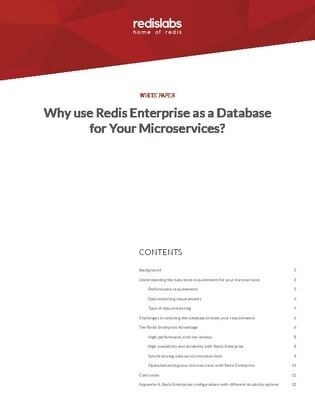 Download this white paper to learn about a multi-model platform that enables you to run up to a few hundred databases on a simple 3 server cluster, helping you maximize your resources while ensuring your architecture isn’t too complicated.